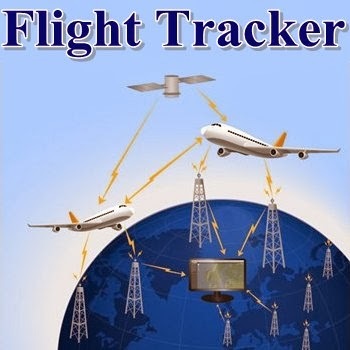 Technology has made it very simple and easy to track any plane in the air and to get information about any flight. There are websites and mobile applications which offer these information free. We are sharing one of these websites and its mobile applications with our readers which offers very useful information about almost all passenger flights in the whole world. We are sharing a very helpful tool which provide live details about air traffic in real time. Just enter flight number or aircraft name or city name or airport and you will get flight route, schedule, departure time, estimated arrival time, delay, speed, altitude, photo of aeroplane, current location of flight and much more. You can search your flight from the list of airlines or airports. Watch planes on map in real time and experience what the pilot sees in cockpit in 3D. Its mobile applications for Android, Apple iPhone and Windows Smartphones are also available. And you will be surprised to know that you can identify a plane flying overhead by simply pointing out your phone to the sky. Below is a widget which is showing flights which are in air Pakistan and other neighbor countries. You can Zoom-in or Zoom-out and browse other regions by sliding and swiping with your mouse cursor. Moreover, click on any aeroplane to see its number, its company, speed, altitude, departure and destination airports, location and its arrival time. We come to know this service from the column of Ammar Chaudhry of Daily Dunya News. Below we are giving his column and reference. He has well explained this service very beautifully. bouhat jald ya site pakistan main block hou jaye gi..